Members of the hunting heads worldwide Executive Search Group are committed to the highest professional practices, acting in the best interests of their clients, candidates, the community-at-large, and our profession. Group members value diverse leadership. They identify the most qualified talent by searching and assessing without bias. Group members conduct themselves and their business activities with absolute integrity and are at all times open, honest, and worthy of trust. 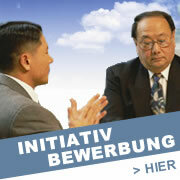 Group members serve as trusted advisors, exercising independent, objective judgment. Group members focus on their clients� unique business needs, providing high quality service and using rigorous results-focused methodologies. Group members always respect any confidential information entrusted to them by clients and candidates. Since 1997, hunting heads has set the standard for quality and ethics in executive search and leadership consulting worldwide. 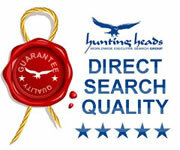 Because "hunting heads worldwide executive search Group" members must commit and adhere to the hunting heads industry and economy recognized Code of Professional Practice and Standards of Excellence, client organizations worldwide can be assured that hunting heads worldwide executive search Group members are able to serve as trusted advisors for their most important engagements.